First and foremost, it has all of the speed and nimble handling that our hardtail trail bikes are known for—an easy fit, ultra-short chainstays for nimble handling, and a low bottom bracket that makes the bike feel glued to the trail. 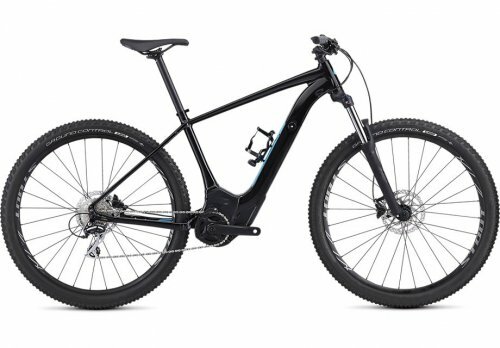 In other words, it rides like an awesome mountain bike first and foremost—what would be the point, otherwise? Then comes our efficient and powerful Specialized e- Bike technology, along with an integrated battery and motor. This year, however, you'll also see some updated software that increases the motor's efficiency, plus an M5 Premium aluminium frame. At the battery, you'll find that it's fully integrated with the down tube and easily removable for quick charging or swaps. It has a lengthy lifespan for hitting long, out of the way trails and, along with the motor, is strategically placed for optimal weight distribution. The Mission Control app, meanwhile, gives you full control of the bike's tech.